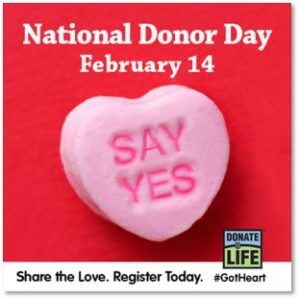 February 14th is Valentine’s Day, but did you know it is also National Donor Day? Designated by the US Department of Health and Human Services in 1998, this day is dedicated to raising awareness about organ, blood, platelet and tissue donations—acts of generosity that save lives. Every 10 minutes someone is added to the national organ transplant waiting list. The greatest need is for kidney transplants; more than 87,000 people are on the waiting list, followed by the liver, lungs and heart, which are also in high demand. Over 120,000 people in the U.S. are waiting for an organ transplant. Unfortunately, many families never find a suitable donor organ due to the shortage. People whose names are on this list are waiting not just for an organ, but for a second chance at life. That is only possible once a donor has been found. Every day in the U.S. twenty-one patients die because of the lack of donor organs. 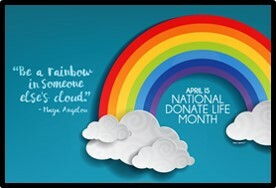 April is Be a Donor Month. Please consider registering to become an organ donor through your state registry. 74,824: The number of people who are active waiting list candidates. People waiting for an organ donation are placed on a national computerized waiting list and matched to donor organs according to criteria such as blood and tissue type, immune status, medical urgency and time spent on the waiting list. Matching blood type is usually necessary for transplants, making the need for minority donor organs especially critical. Almost anyone can be an organ donor. 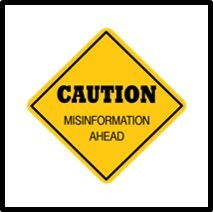 Your age, medical history, religion and politics do not matter, but there is a lot of misinformation about donation that is simply not true. The health of your organs is more important than your age. Newborns as well as senior citizens have been organ donors. Most of the negative press on organ donation is based on misconceptions, which can deter people from making this life-saving pledge. Only the last item is absolutely true. In many states, people younger than 18 can also register, although their families have the final say if the occasion arises. One of the easiest ways to become a donor is when you renew your driver’s license. Your new license will clearly state that you are an organ donor. Organ transplants are only permitted when the donor is dead. Death must be declared before any organ harvesting begins and the legal and medical certification of death must be accepted by everyone involved. Organ donations are done on a points system based on time waited, seriousness of the disease, compatibility and other criteria, but some claim the rich or famous get to jump the line. Nobody wants to believe it but I found a great deal written on the subject that calls the policies into question. An organ donor’s family is never charged for donation. The family is charged for the costs of all efforts to save your life, and those costs can be misinterpreted as costs related to organ donation. Costs for organ removal are borne by the transplant recipient. There’s no defined cutoff age for donating organs. The decision to use your organs is based on strict medical criteria, not age. Don’t prematurely disqualify yourself. Let the doctors decide at the time of your death whether your organs and tissues are suitable for transplantation. By donating your organs after you die, you can save and improve as many as 50 lives. The number of organ donors and transplants has continued to increase over the past five years, but not at a pace that comes close to meeting the need. April 2018 will mark the 15th annual National Donate Life month, a celebration honoring those who have given the gift of life through organ, eye and tissue donation. Though we do not know their names, their generosity is reflected in each recipient who received the gift of a second chance. Those whose lives have been saved or healed by a transplant can share their stories and encourage others to register and become donors during this awareness campaign. Throughout the month of April multiple organizations bring needed attention to this life-saving opportunity. Visit donatelifenw.org and organdonor.gov for more information on organ donation and use #NationalDonorDay on social media. Additional information on transplants can also be found here. The live you live can also be the live you give.